I am kicking myself for having failed to take any photographs during our latest trip to Anacortes. However, I will summarize our highlights so that if you find yourself in Skagit Valley, you too can enjoy some of the best places. 1. Compass Wines: This wine shop is fantastic, and has a stellar reputation. They are friendly and unpretentious, and have a enormous selection. We happened to be there the day they were hosting a free wine tasting by two Italian wineries. Delizioso! 2. Apothecary Spa at the Majestic Inn: This is my favorite spa in all of Washington. They book up quickly so make sure you schedule an appointment well in advance. Show up early so that you can take the time to enjoy the eucalypus steam room and the relaxation room where you can lounge in your cozy robe and slippers, sip tea, nibble on dried fruit and nuts, and flip through magazines before your massage. They have a fully stocked locker room so you can shower and get ready for your evening afterward. 3. The Brown Lantern: Beer. Enough said. 4. Adrift: This restaurant easily makes my top five restaurants of all time. I love this place. It's a casual atmosphere with delicious food. The tables are divided by shelves of used books, which only adds to its charm. Be sure to make reservations as this place is extremely popular for locals and tourists alike. Favorite menu item: Green Dragon curry mixed shellfish steamers. 5. Washington Park: Located on the tip of Fidalgo Island, this is the best way to get moving after a night of indulgence. Roll out of bed, grab a coffee, and head to Washington Park for a walk around the wooded two mile loop which has great views of the sound all the way around. The loop is open to pedestrians from 6-10AM (perfect for walking the dog or a short run) and opens to cars at 10AM. There's a great picnic area at the western-most point if you go later in the day for a picnic lunch. 6. Rhododendron Cafe: Located on Chuckanut Drive in Edison/Bow, this cozy little diner has great breakfast. They are closed during the winter so double check that they are open before you head out. 7. Taylor Shellfish Farms: If you are looking for fresh oysters, wind your way up Chuckanut Drive to Taylor Shellfish on Samish Bay. Drive under the large sign at the top of the hill and it leads you down a steep drive and straight into their shellfish farm. You can BBQ right there at the picnic tables or take your oysters to go on a bag of ice. If you're looking for a restaurant option, you can enjoy some of their shellfish at the Oyster Bar right around the corner. Taylor also has retail stores in Shelton and Seattle, or you can order through their website. 8. Breadfarm: Work your way back down Chuckanut Drive and you'll find yourself back in Edison. Be sure to stop at Breadfarm for a delicious EVERYTHING. Seriously. We left there with a loaf of french bread, two croissants, a pain au chocolat, a double chocolate cupcake, and a macaron. Come with cash or your checkbook- they don't take credit cards. Maybe that's a good thing. 9. Art Galleries: While you are in Edison stop into the art galleries and shops. Smith & Vallee is a lovely space, and if you walk down the road to the woodworking shop, upstairs you can see some of Todd Horton's amazing pieces while he works in his studio. I suppose I forgot to mention that Anacortes has some great art galleries and antique shops as well. But if you are into art and antiques, chances are you already found them. 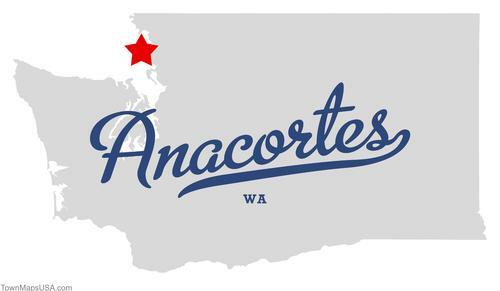 Anacortes is a also great starting point for hopping the San Juans, a drive through the farmlands during the annual Tulip Festival, and a visit to La Conner for more art galleries and antique shops. Note: Since we are lucky enough to have a friend with a cabin in Anacortes we haven't stayed at any of the hotels in the area, but if you have any recommendations on where to stay feel free to leave those (and other Skagit Valley favorites) in the comments.